Notice to Daesh Daily readers: As​​ most of​​ you are taking the Thanksgiving holiday off, we are doing likewise. Our next issue will be on Monday, November 27. Have a great holiday. DaeshDaily comment.​​ Al-Sadr may not be among Iraq’s most responsible leaders, but he commands an obedient group of CoR members and a mass following loyal to him. His endorsement is therefore a huge boost to Al-Abadi. As Al-Sadr rarely does something for nothing, there could be expectations behind the endorsement.​​ An important factor here is that Al-Sadr doesn’t want former PM Maliki to be in charge again. A​​ DaeshDaily​​ source says security units captured 2 female suicide terrorists who tried to attack the house of an Iraqi Army officer in Haditha. The source sent photos of the 2 sisters. A​​ Daesh Daily​​ source says the vehicle bomb incident was perpetrated by a breakaway group of former Daesh members​​ operating from the Himrin Mountains,​​ calling itself the Sunni Protection​​ Forces, mostly Kurds but also including Turkmen, in addition to some foreign fighters. Its announced purpose is to kill Shia and Iraqi soldiers. The source reports speculation that the group is linked to Mullah Krekar, a Kurdish militant who went to Norway in 1991. In 2003, Norway issued an exclusion order against him, but it was suspended to avoid a possible death sentence were he to be sent back to Iraq. He was later labeled a threat to the Norwegian public and in 2012 was arrested and placed in protective custody. DaeshDaily comment.​​ No one should take the claims of​​ organizational independence too seriously. This is a group of Daesh members​​ under a new name,​​ trying to kill people in a continuation of the Daesh insurgency. In the immediate aftermath of its defeat in Rawa, Daesh has started a number of small attacks around the country, and this larger attack is part of the same strategy. It’s part of the second coming of Daesh unless Iraq can put an effective end to all this terrorism. 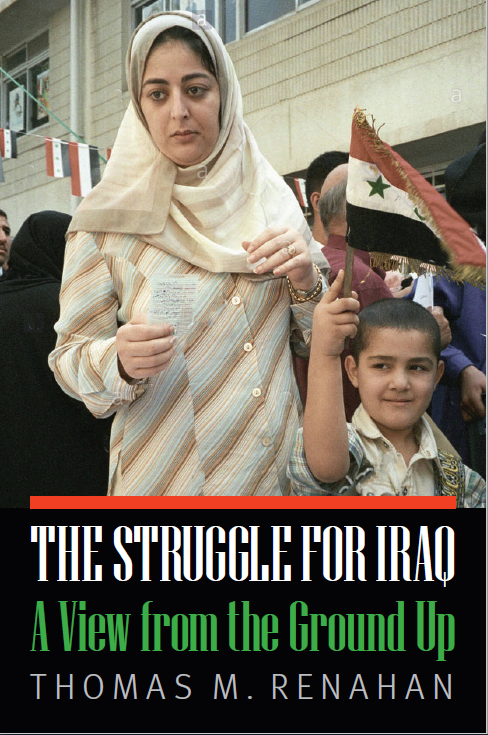 Taking away the “caliphate” territory was not the end of the struggle. The Kirkuk Provincial Council held its first session on Tuesday in the absence of the​​ Council​​ Chairman​​ Rebwar Talabani and the members of the Kurdish Brotherhood Bloc. [Sumaria]​​ Reportedly, the meeting lasted only a matter of minutes. A​​ Daesh Daily​​ source says some people in Kirkuk are trying to quickly finish their business with key record-keeping offices, such as birth certificates, passports, and land registrations. This is based on the fear that armed groups will attack these directorates in order to destroy the records. The situation in Kirkuk is reported to be tense. DaeshDaily comment.​​ The land records are a particular area of concern because of the thousands of claims and counter-claims that have occurred over the same properties​​ for many years​​ between Kurds and Arabs who have owned the property at different times. DaeshDaily comment.​​ It would help if one Iraqi ministry, or perhaps the Human Rights​​ commission, would compile all these numbers in one place and produce one set of numbers based on the same assumptions. A​​ DaeshDaily​​ source says a group of Daesh terrorists, in Iraqi military vehicles and uniforms, attacked Qaraj village in Makhmur and killed nine people after accusing them of cooperating with Iraqi forces. The source says Tribal PMF fighters fled the village without a fight. DaeshDaily comment.​​ The story sounds like everyone is being put on a tight leash, but the more important​​ and​​ good news is that all the parties are included in the negotiations, and being consulted, rather than having Masoud Barzani​​ dominate the decision-making and leave opposition parties out. DaeshDaily comment.​​ This is their position now, but as we reported previously in a detailed story, there was a move to create a Suleimaniya-Halabja-Kirkuk region prior to Masoud Barzani’s resignation. DaeshDaily comment.​​ At some point, US patience with Erdogan will run out. There are obviously sharp differences, but while US spokesmen try to play them down to keep the anti-Daesh coalition together, Erdogan plays them up​​ for his own political reasons​​ in what​​ looks​​ increasingly ​​ like an anti-American​​ and anti-Coalition policy​​ being pursued​​ by a leader whose country is supposedly a​​ NATO member. Sending him fighter planes that could well be used to attack his own people​​ (or even US military personnel)​​ does not sound like a rational decision, whatever Erdogan thinks of it. French newspaper​​ Le Monde​​ reported that Turkey is willing to make compromises​​ with​​ Russia in return​​ for​​ marginalizing the Kurds in Syria ahead of the Sochi conference scheduled on November​​ 22. [BasNews]​​ Syria has already asked that the Kurds be excluded.​​ The Geneva 8 conference is scheduled for November 28. DaeshDaily comment.​​ And from what fund will cash-strapped Syria be paying all this money? And why is this charade necessary? The Coalition says the Raqqa Internal Security Forces (RISF) assumed security of three neighborhoods: Mashlab, Al-Jazra and Al-Tayar in Raqqa on Nov. 20. It says a ceremony in the eastern Raqqa neighborhood of Mashlab marked RISF’s assumption of the neighborhood’s security mission from Syrian Democratic Forces who liberated the city Oct. 20. A​​ DaeshDaily​​ source says Daesh kidnapped 4 Tahrir Al-Sham members northeast of Hama and took them to an unknown location. DaeshDaily comment.​​ Taken together, these stories show that while the city is more or less in government hands, the Albu Kamal District is still a battleground. A​​ DaeshDaily​​ source says Tahrir Al-Sham captured a Daesh Iraqi military commander in Daraa. The source says Tahrir Al-Sham demanded that Daesh release all Tahrir Al-Sham prisoners in exchange for him. DaeshDaily comment.​​ It would be better to gloat over the demise of Daesh after it is fully defeated. As can be seen from today’s news, this has not yet happened.